Bring salted water to a boil and add the pasta. Cook until al dente. Strain, reserving about a cup of the pasta cooking water, and return to the pot, but keep it OFF the heat. Stir in the cheese, but be careful to not let it clump up. Doing it in 3 smaller batches helps. Add in about half the pasta water and stir. Finally, add the yogurt and mix well. Stir in the chives. 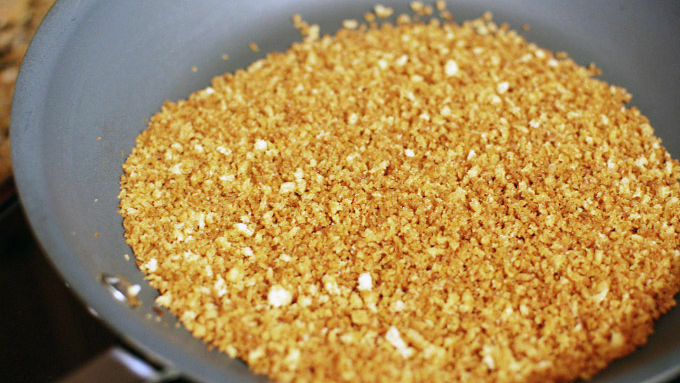 Meanwhile, in a frying pan, toast the breadcrumbs in the butter. Stir often to evenly toast and avoid burning. 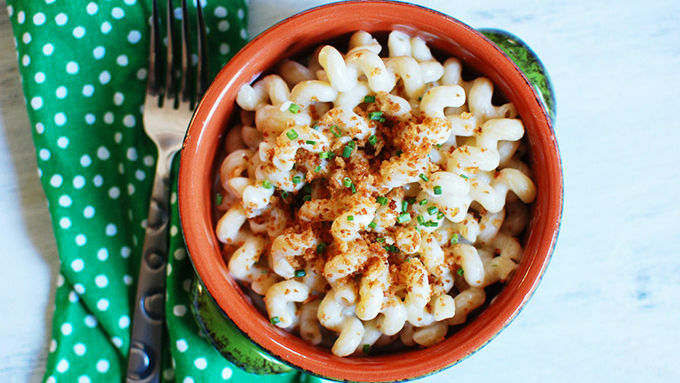 Serve your mac and cheese and top with the crispy breadcrumbs. Be careful when adding the cheese and yogurt as stated in the recipe. The cheese can get clumpy and the yogurt can separate if overheated. 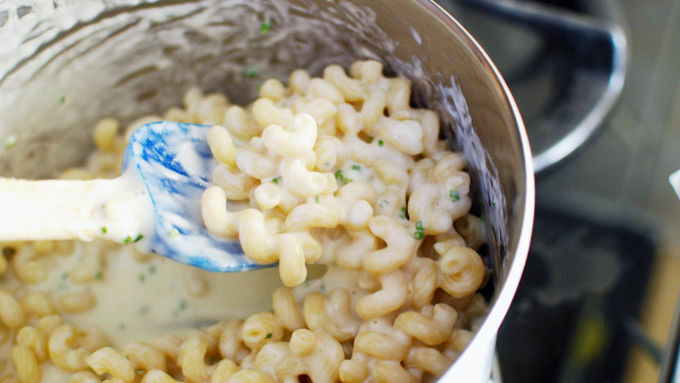 Greek yogurt is the secret ingredient for decadently creamy mac and cheese. Greek yogurt has such a nice, thick texture and a great tangy flavor, so I thought that it would work great in a nice big bowl of mac and cheese. I'm always looking for fun new ways to make mac and cheese, and this version really delivered! The yogurt helps you easily create a luscious sauce without going through much effort. I also added some chives to cut through the richness of the sauce, and topped it with some butter-toasted breadcrumbs to add a nice, contrasting crunch to the creamy dish. Top with the crunchy breadcrumbs and a little more chives. This is a great bowl of pasta and really easy to make too!